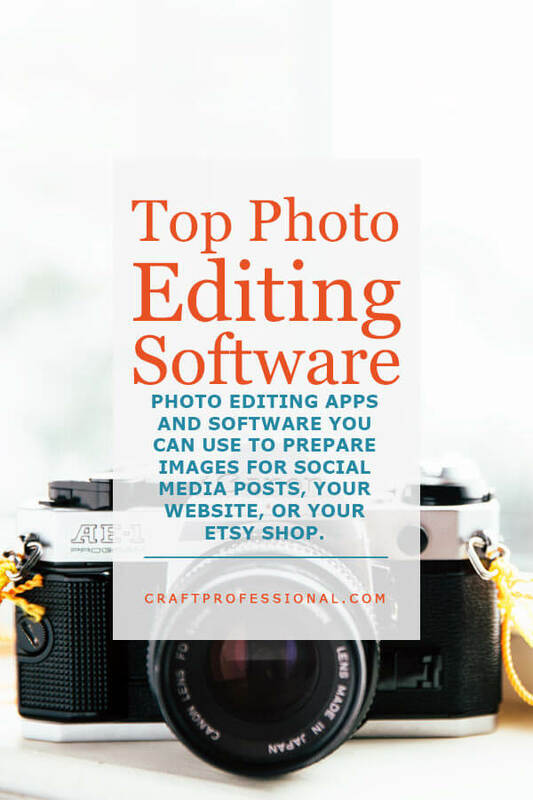 PHOTO EDITING SOFTWARE YOU CAN USE TO PREPARE IMAGES FOR SOCIAL MEDIA POSTS, YOUR WEBSITE, OR YOUR ETSY SHOP. AFFORDABLE AND EASY TO USE ON YOUR COMPUTER. If you're selling crafts, at some point, you're going to need to edit photos. 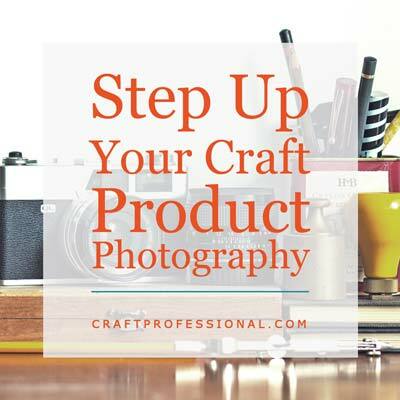 Whether you're preparing images for social media posts, your website, an Etsy shop, or for craft show applications, getting great pictures is part of the job. And photo editing tools will help you get those great pictures. I've used quite a few popular editors, so I've put together a roundup of the top photo editing software I've explored. The easiest photo editing tool I've found is Canva, and it's free if you use simple layouts and your own photos. It does less than other tools, but that's part of what makes it easy. Canva's greatest strength, in my opinion, are the presets it has to size your images to the optimal sizes for popular social media sites and Etsy shops, so you can create social media optimized images quickly, and you don't have to remember the best image sizes for every site you use. 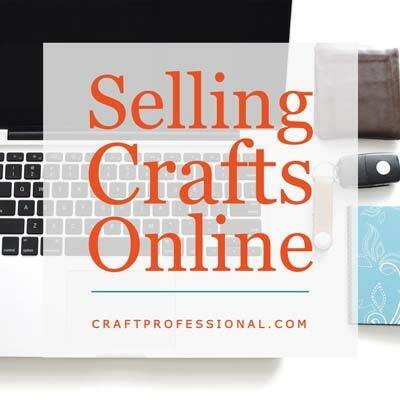 If you spend a lot of time making different sized images for different social media platforms and online marketplaces, it's worth trying Canva. If you need to edit photo brightness, color, etc. you can do that with Canva. You can also add text or apply a filter. If you need stock photos, Canva has a lot of good free ones to choose from, as well as some paid options for only $1 each, which is a great price for stock photos. Canva lets you save your images as JPG, PGN, or PDF files. You don't have a lot of control over the save settings, so if you need very specific file sizes, or resolution, (for example, for craft show applications) then you'll probably find Canva doesn't give you the control you need. You'll want to use a different tool for that kind of job. PicMonkey is another browser-based photo editor. Browser-based means you use the tool on the company's website; you don't have to download software to your computer. PicMonkey is more complex than Canva and takes a little longer to learn, but it does more. You can edit color and brightness, sharpen images that are slightly blurry, remove red eye, and resize photos. Plus you can add a lot of different, fun effects, and you can use fonts you have installed on your computer when working with text on PicMonkey. This feature is great if you use a specific font for your company branding. PicMonkey doesn't have the social image size presets that Canva has, so you'll have to keep track of that yourself if you use PicMonkey for editing social media images. Also, you'll need to pay a subscription fee if you want to use PicMonkey. PicMonkey is great if you want to play around with text on images and effects. It's a fun photo editor. It's useful if you need to create a logo, or if you want to add some fun to your existing images. Like Canva, it's not the best option if you need a lot of control over the size and resolution of your images. Paint.net is fabulous, free photo editing software you install on your computer. The only downside to this software is that it's only available for PC. You can't use it on a Mac. I used Paint.net for years until I switched to a Mac, and I loved it. Paint.net is a lot like Photoshop, which is another reason to love this software. When I eventually switched from using Paint.net to using Photoshop, I found the transition extremely simple. If you think you might purchase Photoshop in the future, but you're not quite ready to spend the money, Paint.net is an excellent option. It's free, has a lot of functionality, and you'll be very comfortable using Photoshop if you start with Paint.net. Paint.net takes a little more learning than Canva or PicMonkey, but it's pretty intuitive, and it has an active forum with answers to all kinds of questions about how to use the software. It's a good option if you want to adjust your photos (lighten, crop, sharpen, etc.) and you need control over sizes and resolutions of files, for example, if you're preparing photos for juried craft shows. One browser-based alternative to Paint.net is Pixlr. I have tested Pixlr, but I have not used this image editor as extensively as I've used Paint.net. Pixlr is recommended by several trusted sources, including some craft show organizers. If you're looking for free, browser-based photo editing that's similar to Paint.net, Pixlr is definitely a good tool to check out. GIMP is another popular free photo editing software program you install on your computer. This one is available for both Mac and PC. GIMP is more powerful than Paint.net, and some people love it. I tried it when I switched to a Mac and couldn't use Paint.net anymore, but I found that GIMP was tough to learn. To be fair, I'm not one for sitting down and reading the instructions for new software. I want to be able to click around and figure out the basics. I'll read instructions or watch tutorial videos to learn more advanced techniques. GIMP didn't feel very intuitive to me. I couldn't click around and figure it out. If you're looking for powerful, free image editing software (particularly if you're on a Mac) don't let my experience deter you from trying GIMP. Some people absolutely love it. If you're willing to invest a little time learning the software, you might discover you're one of those people. Photoshop is my go-to image editor now. I have a Creative Cloud subscription, and I use Photoshop and other Adobe software almost daily. Creative Cloud is subscription-based. It is fabulous if you use the software, but it can get pricey, and it might be more than you need. If you don't need the more advanced features in Photoshop, and you're not interested in other Adobe products, you might be very happy with Photoshop Elements. Photoshop Elements is the "lite" version of Photoshop. I used Elements for quite a while until I also needed Adobe Illustrator and Acrobat Pro, then it made more sense for me to subscribe to Creative Cloud. 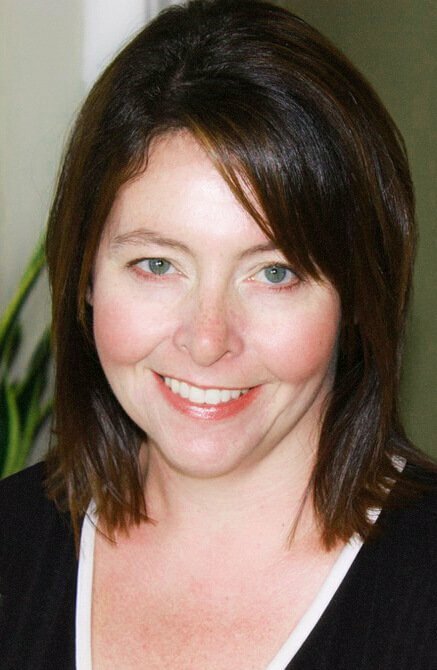 If you just need the photo editing capability, Photoshop Elements may fit the bill. There are a few apps I use to edit photos on my iPhone. These apps are good, particularly for editing images to post on social media. 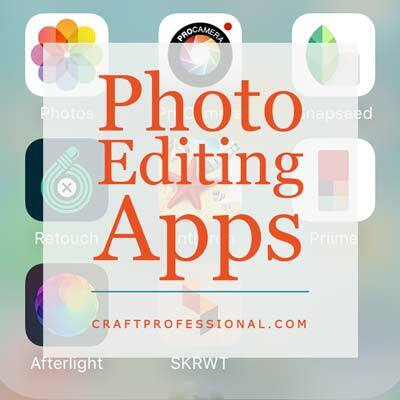 If you're looking for a way to edit images directly on your smart phone or tablet, these are the photo editing apps I recommend. Inexpensive apps to edit photos on your phone or tablet.